I found a great page of free baby-related crafts. Jan Andrea has gathered a wonderful collection of patterns available for free personal use. 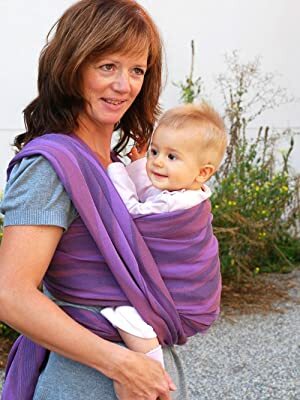 • Baby carriers: Ring Slings, Pouches, Mei Tais and Podaegis, Wraps and more. • Breastfeeding Helpers: Nursing Pillows, Simple Nursing T-Shirts, Nursing Bra, Hands-free Pumping Bra, Easy Nursing Necklace, and more Nursing Shirts. • Things to use with kids: Simple Cloth Doll, Becca's Sleep Sack, Restaurant High Chair Cover, Grocery Cart Seat Cover, Chair Sling/Tie-on Baby Seat, Black and White Mobile, Adding Gussets to Cloth Diapers, Toddler Bed Sheets, and Diaper Patterns. • Plus... Purses, Bags, and Storage.